Find homes for sale in our Minto Toronto communities in Etobicoke, Oakville, Whitby, Unionville, East Gwillimbury and condos for sale in Downtown Toronto. New, luxury detached homes for sale near Kipling Ave & Rathburn Rd. Starting from $1.4M, learn more about Glen Agar, a new development in Central Etobicoke. New high-rise condos for sale in downtown Toronto, right in the heart of Yorkville at Bellair & Cumberland. Only a one suite remains! Minto Westside is design-forward new condos in downtown Toronto at Front & Bathurst. Hurry, only one suite remains! Register today for Phase 2 of Queens Landing by Minto in Queensville, East Gwillimbury near Newmarket and Aurora. 351 Dundas St East, Oakville, ON. Oakvillage is a master-planned community in Oakville, nestled in nature and steps away to all of Oakville’s amenities. Townhomes and single family homes for sale in Whitby. New homes with 2, 3 and 4 bedrooms. Learn more about this new development at Thickson Rd and Rossland Rd! 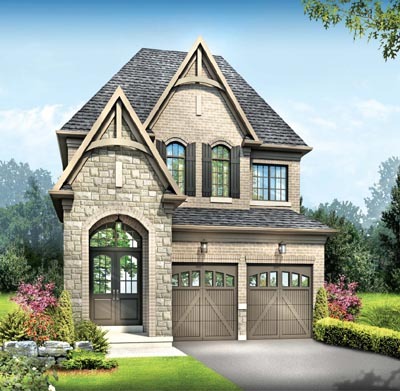 New single family homes and townhomes coming to Unionville. Register today! Located north of the GTA in Markham. Enjoy a virtual tour of our 36' Welton Model available at Ivy Ridge in Whitby. Our Model Home is now open at 19 Glen Agar Drive in Etobicoke. Toronto condos for sale, along with townhomes and new developments in the GTA, are a welcome sight for home buyers in a number of desirable locations. As an award winning condo developer and home builder in Ontario, Minto Communities takes great pride in building beautifully designed single family homes, townhouses, condos and communities. Minto Communities starts by finding the best places to live: neighbourhoods that welcome and inspire. Whether you're looking for a new condo in Oakville or downtown Toronto, a new townhome in Whitby or a new house in Etobicoke, we build new homes in the GTA where life can be lived to the fullest, in smart locations where life's necessities are close at hand.